Canadian Foreign Minister Chrystia Freeland and U.S. Trade Representative Robert Lighthizer — the two top officials at the NAFTA talks — are due to be in New York on Monday and Tuesday for the UN General Assembly. U.S. and Canadian officials trying to reach a deal on NAFTA are "very likely" to hold informal talks on the sidelines of a major UN meeting in the next few days, Canadian Prime Minister Justin Trudeau said on Sunday. U.S. President Donald Trump struck a side deal on NAFTA with Mexico last month and has threatened to exclude Canada if necessary. 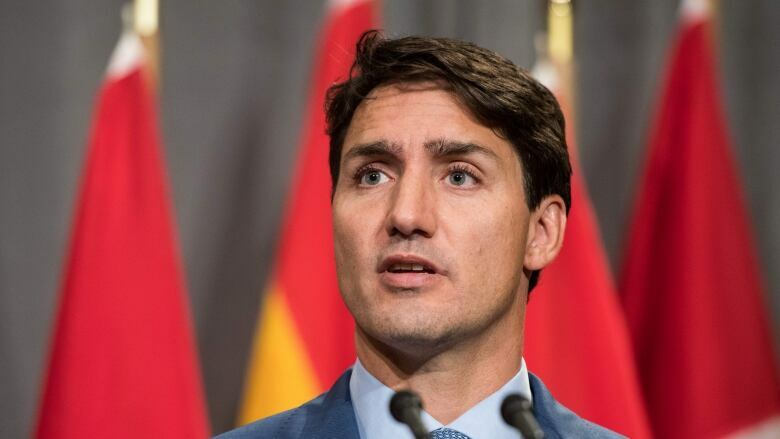 He also said he might impose a 25 per cent tariff on Canadian auto exports, which would badly hurt Canada's economy as well as affecting U.S. automakers. Canadian Foreign Minister Chrystia Freeland and U.S. Trade Representative Robert Lighthizer — the two top officials at the talks — are due to be in New York on Monday and Tuesday for the UN General Assembly. Trudeau, speaking after talks with Spanish Prime Minister Pedro Sanchez, said nothing had formally been arranged. A Freeland spokesperson declined to comment. The U.S. and Canada are divided over the best way to resolve trade disputes and a U.S. demand for more access to Canada's protected dairy market. Markets are reacting nervously to uncertainty over the future of the 1994 pact, which underpins $1.2 trillion in annual trade. Over the past 25 years, the three countries' economies have become increasingly integrated, especially the auto industry. Freeland and Lighthizer met in Washington last Thursday and made little progress. Canada also made clear the U.S. needed to withdraw the threat of auto tariffs for a deal to be possible.